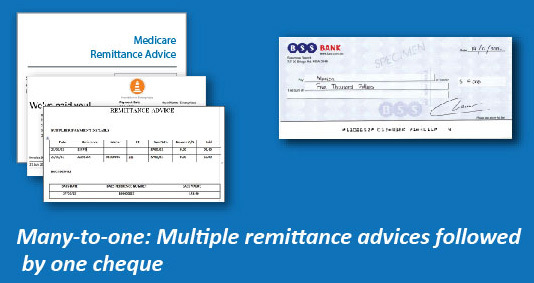 Many organisations and institutions today still receive paper cheque and remittance advices in large numbers. These documents come from within their own organisations or from other institutions at metro, regional to rural offices. Processing these documents is a tedious job and requires involvement of multiple parties, some are third parties. Such multi-layered involvement in remittance advice and cheque processing doesn’t only delay settlement, but it also increases the risk of human errors—leading to steep increase in operational costs. Introducing SMARTCAPTURE™, a user friendly application designed to simplify and streamline processing and archival of cheques and remittance advices. Using SMARTCAPTURE™, cheques and remittance advices can be scanned and read, not only for archival or record-keeping purposes but also for further processing. Cheque data and images can be transmitted electronically, within and across institutions—intra- and interbank—reducing overheads in operations, transportations and physical storage spaces, and minimizing risks of discrepancies and losts during handling. Furthermore, electronic cheque data can be backed up and restored easily, thus giving you the flexibility to manage your data recovery centre. SMARTCAPTURE™ is compatible with a wide range of document scanners, allowing you to match device footprint to document volume and price point. With MICR and OCR read sensors embedded in the scanner, SMARTCAPTURE™ will be able to have dual control on processed cheques and remittance advices. This will speed up the whole document processing while reducing risk of financial losses. SMARTCAPTURE™ captures, processes and stores data and images in whatever image setting at the scanner—B/W, greyscale or coloured images. SMARTCAPTURE™ also gives you the option to have a completely automated image and data flow from scanning of cheques and remittance advices, document authentication, batching and balancing of transactions for further processing. Range value search: equal to, lesser or greater than, or any of these combinations. This tool will especially be useful when there is a need to verify suspected discrepancies at point of presentment. Data stored in SMARTCAPTURE™ database (archived data) can be exported into file format for further processing, or simply for backup purposes. SMARTCAPTURE™ is compatible with a wide range of document or cheque reader scanners of Check21 standard. It can accommodate both manual feed and auto feed document scanning without customisation.